With years of pioneering offshore experience, Yokogawa has kept pace with the industry’s increasing requirements for technology and safety. Yokogawa’s subsea control system, proven to be robust and extremely reliable, was ideally suited for the world’s deepest subsea facility. Stones is an ultra-deep oil and gas development in the Gulf of Mexico, about 200 miles southwest of New Orleans at a water depth of 9500 feet, making it the world’s deepest production facility. Stones subsea wells deliver oil and gas to Shell’s first FPSO in the Gulf of Mexico (GOM). Why Yokogawa for Stones Subsea? Yokogawa’s subsea control systems have facilitated Shell projects to explore greater depths in their off-shore oil exploration efforts. 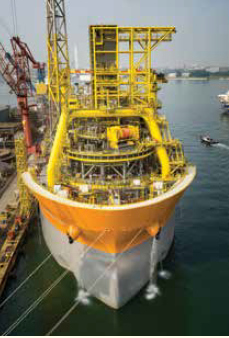 Yokogawa CENTUM VP subsea and topsides integrated controls and safety systems are operating on Shell Perdido, Gumusut- Kakap, and OLYMPUS TLP/West Boreas projects. The high quality CENTUM VP system, with proven availability of 99.99999%, is a natural fit for the most challenging offshore environments. 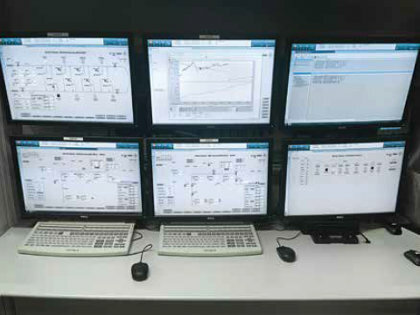 In addition, Yokogawa has worked with Shell on numerous projects to improve efficiency and standardize control systems. Based on the quality of its systems and these efforts, the Stones Subsea Master Control System (MCS) was awarded to Yokogawa in October 2012. Shell Stones Modular MCS subsea controls platform includes Yokogawa’s flagship control system, the CENTUM VP, with modular programming that complies with Shell’s engineering standards and programming toolkit. By standardizing the programming toolkit for subsea controls, the MCS could be streamlined, resulting in a higher quality control solution and a simpler change management solution, at a lower overall cost. Yokogawa has standardized the HMIs, alarm management and subsea modules (objects and functions) for simple replication of the wells. This reduces the engineering and testing time of the Master Control System compared to a traditionally programmed PLC or other MCS Solution. In the quickly evolving offshore industry, changes and additions to the control system have become mandatory. Yokogawa’s latest CENTUM VP control system provides a user friendly and easy-to-maintain application to easily accommodate changes. Yokogawa’s subsea control system can be monitored remotely via a secure system, allowing Yokogawa to provide technical support from an independent location. The Subsea Historian (SSH) system provides seamless integration with the subsea control system. The highly reliable SSH collects and stores well data. 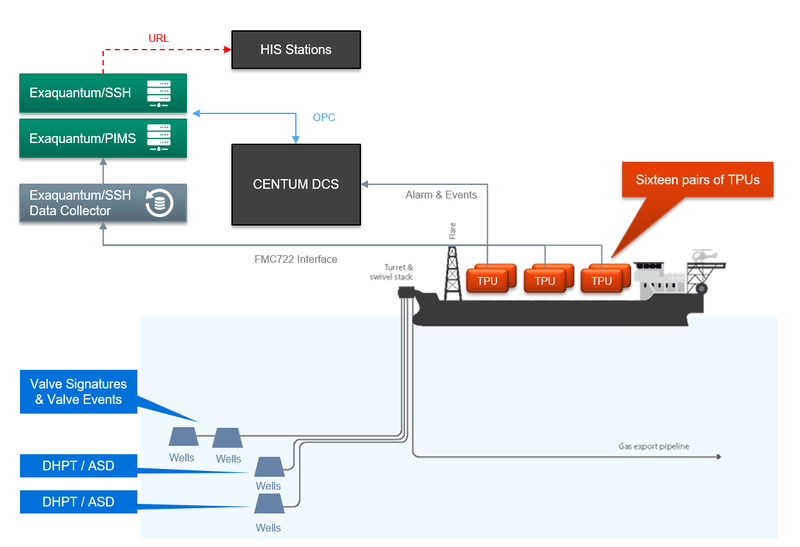 This system enables continuous monitoring of the well operation and the subsea infrastructure. The SSH provides a special user interface to collect valve signatures, downhole and acoustic sand detection data. This feature is used to perform valve diagnostics to aid in planning for interventions and to prevent well damage. Yokogawa has been successful in inculcating safety as the go by rule. Through the various steps of the Stones project – FEED, Design, Engineering, FAT, EFAT, equipment pre-commissioning at Singapore and the subsea well commissioning at Gulf of Mexico, every activity was carried out with safety being the first priority. Ease of Integration with key 3rd party topsides and subsea systems. Standard subsea toolkit solution package to reduce engineering and testing cost. Provide effective change management system to streamline change and release process. Standardizing the subsea controls application as a solution suite is one of Yokogawa’s main initiatives for the upstream industry. This standardization provides for continuous cost reduction and increases vigilance for safety. 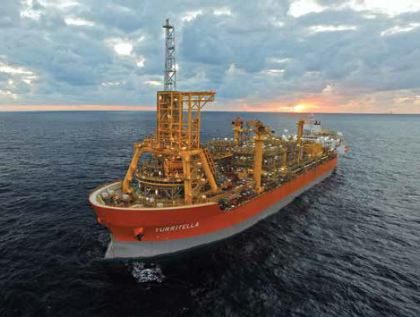 The Stones FPSO is a great milestone for Yokogawa. Yokogawa met the challenge by delivering a safe solution while providing advanced technology for the next generation of deep water developments.